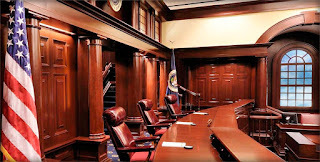 This week the Abbott case – the only Hague abduction case ever to get the U.S. Supreme Court -- was finally dismissed, but only because the child turned 16 and the Hague Convention applies only to children under that age. The case is known for the fact that U.S. courts finally accepted the rule applied by most other countries that a parent who can veto his child’s relocation overseas ha s a Hague right of custody. The child’s mother had wrongfully taken the child, then aged 9 or 10, from his habitual residence in Chile to Texas in violation of Chilean law prohibiting either parent from taking the child out of the country without the other’s consent. The Supreme Court ultimately ruled that he should have been returned to Chile. However, the case should also be famous for the fact that it demonstrates that the federal appeal courts trample on the clear treaty obligation of the United States to resolve Hague cases expeditiously – and within six weeks if possible. Instead of it taking the recommended six weeks for the courts to handle the case it took them six years -- and even then the child was never returned. The result is an utter farce. Federal appeals courts in the United States have no rules concerning expeditious handling of Hague cases. With minimal exceptions these cases are placed on the same timetable as any other case, while courts often pay mere lip service to the requirement of speedy determination by simply refusing to grants a stay of enforcement of a return order pending an appeal, thereby effectively depriving many respondent’s of their right of appeal. Speedy resolution of return applications is essential to the operation of the Convention. The language of the Convention repeatedly calls for state parties to provide for procedures to ensure the "prompt return" of abducted children (Preamble; Article 1) and to "use the most expeditious procedures available" (Article 2). Indeed, the Convention provides in substance that a country’s judicial authorities are expected to conclude a Hague case within six weeks of its commencement. In England the courts have adopted rules that require appeals in Hague cases to be lodged within 14 days of the first instance decision and that expedite appeals through a fast-tracking appellate procedure. The target of six weeks is for resolution of the case in its entirety, including all appeals. The United States federal courts should follow suit. By failing to do so they are participants in international treaty violation.